Originally from California, Dennis has called Utah home for 24 years. He’s made a career for himself in the cycling industry, and we’re proud to say that he’s one of the Salt Lake area’s most experienced bicycle mechanics — friendliest, too. When he’s not at the shop making bike dreams come true, you can find Dennis shredding his favorite Snow Basin trails on his Trek Fuel 9.3, kickboxing, or hiking with his dog Pickles. A Clearfield native, Ty enjoys camping, hiking, snow shoeing, hanging out with his dog, and working in his yard . . . when he’s not riding, of course. His friends describe him as a thoughtful, keen, critical thinker and that shows in his friendly customer service and attention to detail when it comes to bike repairs. Caden is a part-time sales associate and full-time student & cycling enthusiast. 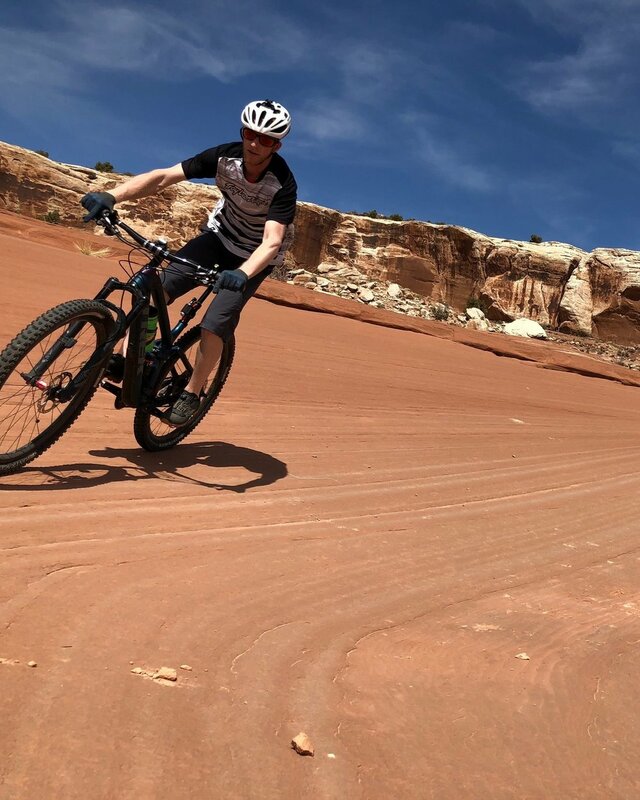 His favorite bike is his Fuel EX 9.8, but he loves road riding, too, especially the Veyo Loop near St. George, UT. He’s athletic, knowledgable and eager to learn — especially the finer points of bicycle mechanics from Ty and Dennis. When he’s not working or studying, Caden enjoys spending time with his fiancé.